Are you planning to download a large file that using your Smart Prepaid account? Try the GigaNight 25 internet promo. It gives you 1GB of data at a very affordable price that surely fits your daily budget. For only 25 pesos, you can already surf all you want with your mobile phone starting from 10:00PM to 6:00AM early in the morning. A very pocket friendly offer from Smart that perfectly match the taste of their subscribers. 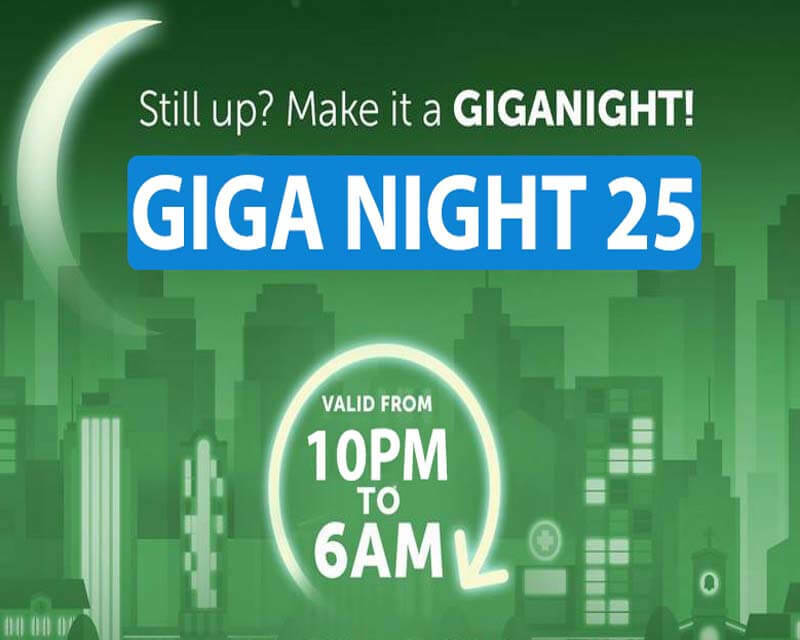 Instead of paying the regular 50 pesos for one day surfing, with this Smart GN25 (Giga 25) promo you only need to reload half the price of the usual data surfing promo. You can even use it the following day if you still have remaining data balance on your account. You only need Php25.00 to subscribe with this GigaNight promo. Just visit your nearest load retailer to reload your prepaid account or mobile number, then use the keyword format provided for your reference. Be sure to register and use this offer within the period provided to avoid network related problems. Just text GN25 then send to 9999. They also have 1GB for 15 pesos offer with GIGANIGHT 15, valid from 1AM to 6AM daily. To use the promo all you have to do is turn on your phone’s mobile data button. Start from opening your browser, then open any of your favorite websites or you can also run your frequently used mobile apps to check if your data is now working. Please make sure you receive the SMS notification from Smart that says your GigaNight 25 is now active and ready to use. If Smart LTE already covers your location and you are using LTE SIM with your 4G/LTE smartphone or pocket Wi-Fi, this gives you an advantage as you get faster internet speed in browsing. In addition, you are also using this promo off-peak hours where only few subscribers are using wireless or cellular internet service.